Special thanks to Sidney Jones Jackson, whose family founded Rose Hill Plantation, for contributing much of the information on this page. Dr. John Randolph Bradford and his wife, Eleanora Beggs Bradford, moved into their new home in March (2).
?  When John and Eleanora's daughter, Arabella "Belle" Bradford, wed Frank Dunbar, one of the conditions of their marriage was that they live at Rose Hill (2). Frank and Belle had seven children – four boys and three girls. The children played in the attic on the third floor. They wrote on the walls and these childhood scrawlings still remain. Their names were Randolph Bradford, Anna "Gussie" Augusta, Francis Fickling, Paul Hammond, Clara Eugenia, Arabella "Bella" Sumpter, and Wallace Bailey (2).
?  Randolph Bradford Dunbar, Frank and Belle's son, inherited the plantation. He married Ruth "Alma" Simkins and raised their four children at Rose Hill (2). Circa 1950  Gertrude Simkins Dunbar Jones purchased the property from her parents, Randolph and Alma Dunbar (2). 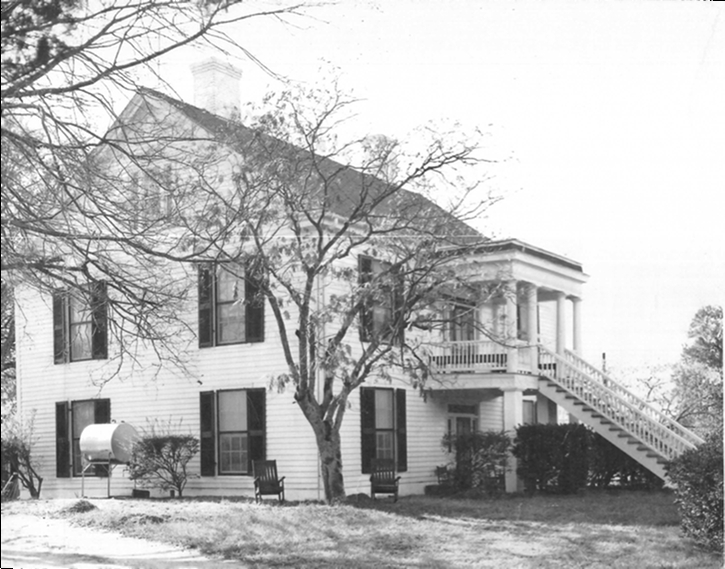 Circa 1969  Gertrude Simkins Dunbar Jones sold Rose Hill to Mr. and Mrs. Gentry. This was the first time an owner was not a direct descendent of Rose Hill's founder as the plantation had passed down through four generations (2).
?  C.D. Giacobone became owner (1). Sidney J. Jackson shares, "The house originally had steps from the second story porch to the ground, [on the] back and front [of the house]. The back steps were changed when my grandfather [Randolph Bradford Dunbar] was living in the house as a grown man. The front steps were removed after my mother [Gertrude Simkins Dunbar Jones] sold the house in the 1960s. The steps from the second story were built so buggies, et cetera, could drive under them." The original barn, which predates the home, still stands on property. 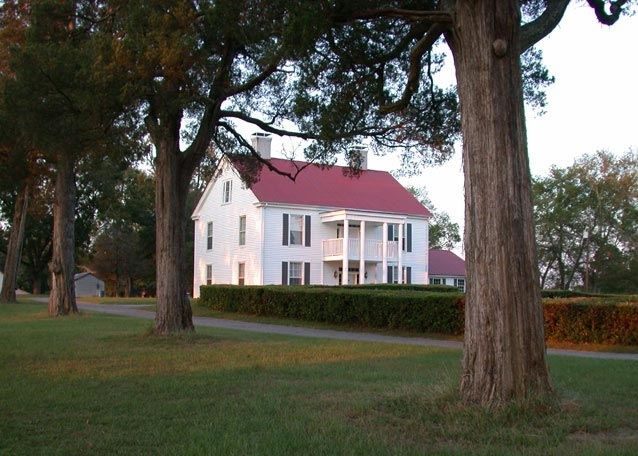 The home's builder also designed and constructed nearby Redcliffe Plantation. André M. Dohm contributed, "[The] third floor is not finished  and never has been. On the walls are writings from the original owner and his family. Poems, growth charts for their children, etc. It's a walk back in time and absolutely amazing to view them."